Known as the “Father of Biosensors,” Dr. Leland C. Clark invented the first device to rapidly determine the amount of glucose in blood. His sensor concept permits millions of diabetics to monitor their own blood-sugar levels. He is most well-known as the inventor of the Clark electrode, a device used for measuring oxygen in blood, water and other liquids. Leland C. Clark was born on December 04 in 1918 in Rochester, New York. Leland started high school and discovered that science was an educational discipline, complete with course work, lab sessions and grades. 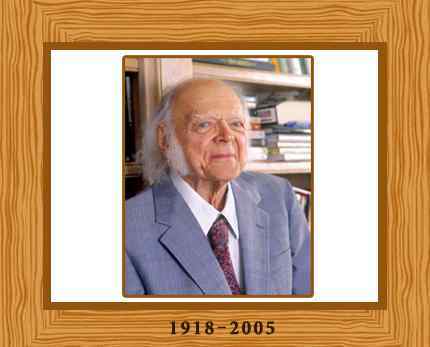 He attended Antioch College and the University Of Rochester School Of Medicine, where he received his Ph.D. in biochemistry and physiology. He quickly became an assistant professor of biochemistry at Antioch and a research associate and chairman of the biochemistry department at a renowned Institute. He served as a professor of research pediatrics and head of the division of neurophysiology at the Cincinnati Children’s Hospital Research Foundation from 1968 until he retired in 1991. Now talking about his great inventions, he conducted pioneering research on heart-lung machines in the 1940s and 50s and was holder of more than 25 patents. He is also the inventor of Oxycyte, a third-generation per fluorocarbon (PFC) therapeutic oxygen carrier designed to enhance oxygen delivery to damaged tissues. Clark had studied the electrochemistry of oxygen gas reduction at platinum metal electrodes, in fact, Pt (platinum) electrodes used to detect oxygen electrochemically are often referred to generically as “Clark electrodes”. More than almost any single invention, the Clark Oxygen Electrode has revolutionized the field of medicine for the past 50 years. The Clark oxygen electrode remains the standard for measuring dissolved oxygen in environmental and industrial applications. Clark, one of the century’s most prolific biomedical inventors and researchers, is also recognized for pioneering several medical milestones credited with saving thousands of lives and advancing the technology of modern medicine. His research accomplishments include the development of the first successful heart-lung machine, the advancement of technology leading to the development of one of the first intensive care units in the world, and pioneering research in biomedical applications of per fluorocarbons and biosensors. Leland published more than 400 scientific papers in biomedicine and generated numerous US and foreign patents, mainly in the field of medical instrumentation and fluorocarbons. He is the beneficiary of numerous honors and awards including induction into the National Academy of Engineering and the Engineering and Science Hall of Fame. Leland Clark received the American Physiological Society’s Heyrovsky Award, in recognition of the invention of the membrane polarographic oxygen electrode. He was a person who gave his all and was very dedicated to helping and using his talents to make a difference, to improve the quality of life for others. This great man died on September 25, 2005 at the age of 86.